Orbital Debris Simulator, 2010. 8 x 10 x .75 in. 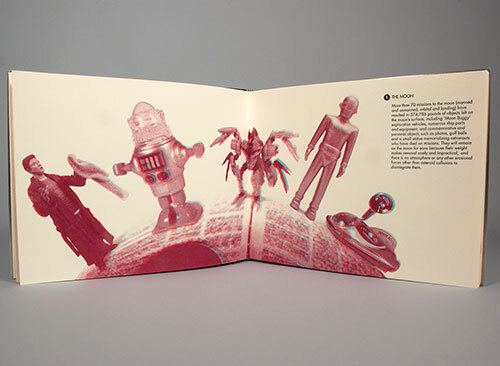 Screen and letterpress printed, handbound with aluminum covers, 24 pages with one fold-out page, edition of 70. 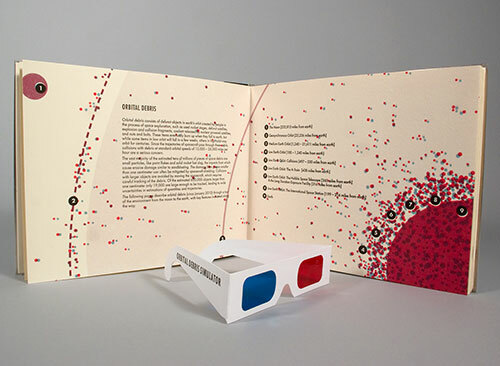 Viewable in 3D with anaglyph glasses enclosed in side pocket. Published by Women’s Studio Workshop. Orbital Debris Simulator describes the phenomena of ‘space junk’ in the earth’s orbit, showing points of interest between the moon and the earth such as geosynchronous orbit, medium earth orbit, and the International Space Station. 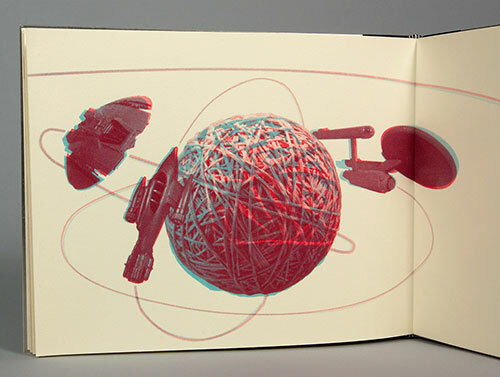 Images of space toys—spaceships and action figures from various science fiction ‘universes’ as well as toy replicas of actual spacecraft—are used as stand-ins for the orbital debris itself. 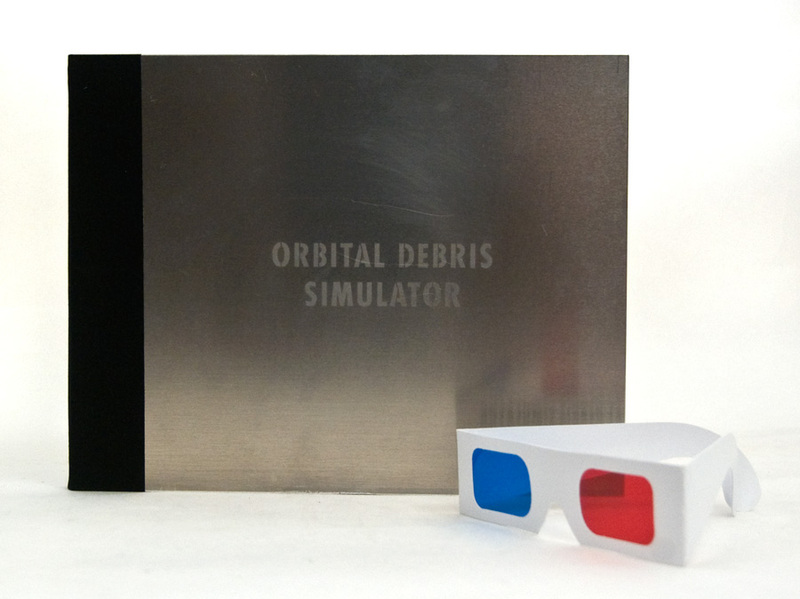 Orbital Debris Simulator: $660. includes shipping regular mail within the USA/Canada. For shipping outside the USA/Canada please email for an estimate before purchase [ hn (at) heidineilson (dot) com ]. Visit the shop for more info about buying and a full list of works available.